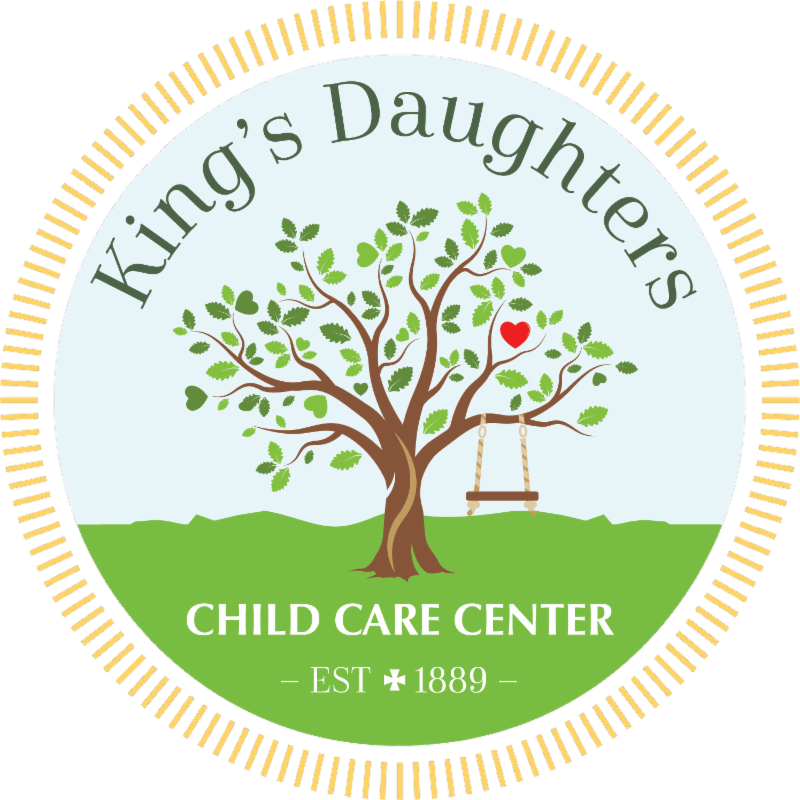 King’s Daughters Child Care Center cares for children in a nurturing, safe environment encouraging educational experiences, which promote social, emotional, physical, and cognitive development. 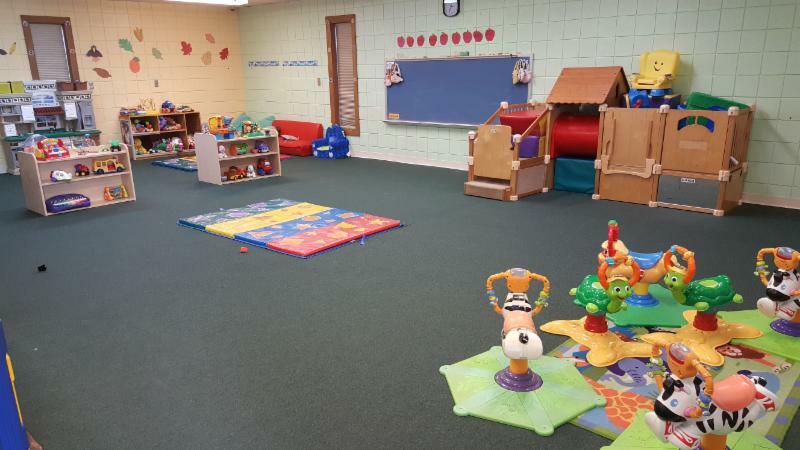 Our Toddler 1 classroom is finished! This could not have been possible without so many generous donations that were made in memory of Stephanie and Stuart Bloch. The classroom looks amazing. It is colorful, bright and well organized. 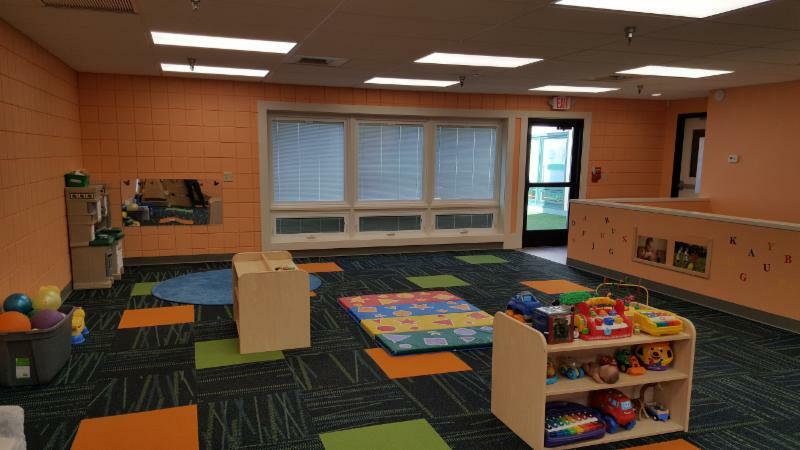 With Toddler 1 complete, I am very excited to say that Toddler 2 remodel will begin on Monday, April 16. Thanks to the generosity of several foundations, we are able to begin this remodel much sooner than anticipated. The Bloch Family Foundation has awarded the Center a $10,000 matching grant to be used towards the remodel. Every donation that is made to honor Stephanie and Stuart’s memory will be matched by the Foundation’s grant. In addition to Toddler 2 remodel, the hallway flooring will be replaced along with three windows that face the Toddler 2 play yard. Ceiling tiles and some lighting will be completed in Jasmine’s office and the main office area as well. I am very grateful for the support of these Foundations as well as the Community that is giving us the opportunity to enhance the Center! Congratulations to Miss Megan and Miss Erin who did an outstanding job in WVIT II. They did an amazing job representing the Center and their classroom projects were well done. Each of them put in 3 classroom hours each week as well as many hours outside of the classroom preparing for their final projects. Thank you ladies for a job well done and for your professionalism representing King’s Daughters! 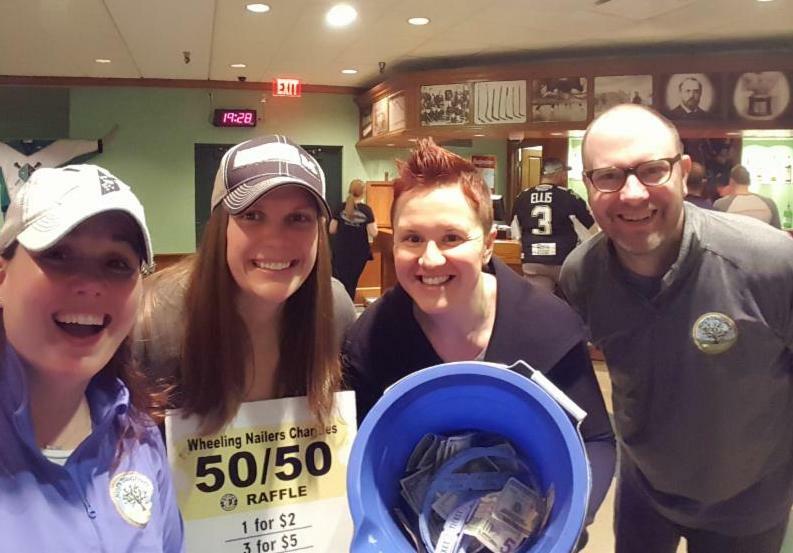 Many thanks to all the families who came out to support the Center at Panera and the Wheeling Nailer’s Game! It was great seeing so many of our families out enjoying a meal or cheering on the hockey team. I am very thankful for the Board of Directors for their help in selling tickets for the Nailer’s Game and volunteering their time to sell 50/50 tickets at the game. Special thanks to one of Wheeling’s finest, Officer Josh Sanders and his wife Jess, who helped at the game as well. Thank you all for your time. For those of you who shop on Amazon, here is an easy way to give back to the Center. Just click this link and shop. A portion of the money you spend goes directly to King’s Daughters! Please welcome Miss Emily to the Toddler 2 classroom. She accepted the position as the Room Coordinator. Emily is a recent graduate of WVU where she earned her degree in Education. While attending WVU, she interned at a child care center in Morgantown in the Toddler 2 classroom. Jasmine is collecting personal supplies, such as shampoo, conditioner, soap, socks, for foster children during the month of April. This is in collaboration with the Ohio County Family Resource Network. Donations can be left in the office or given to the teachers. Thank you for supporting this effort! The Amazing Raise is quickly approaching. Mark you calendars for May 1 when you will have the opportunity to make a donation to the Center. This event is a 24 hour online giving day. More details and reminders will be sent out closer to the day! Thank you for coming out to support King’s Daughters! Pictured: Jamie Remp, Briana Schulze (Board member), Jess Sanders & Mark Merritt (Board Member). A storage closet was created along with an eating area for the children. Old cabinets and plumbing were removed which gave the room some additional space! Below are items we use on a regular basis at the Center and always welcome as a donation! May 1: Amazing Raise. The Community Foundation for the Ohio Valley (CFOV) will once again take part in Give Local America, a national day of community giving on May 1, 2018. The Amazing Raise is a 24-hour (12:00 am to 11:59 pm) giving challenge where donors across the Ohio Valley will come together to raise money for our local nonprofits. Registration is open. Team Registration forms are located on the website or email dragon@kdwheeling.org for more information. Thank you ladies for your dedication to the families of the Center! CONGRATULATIONS TO OUR STAFF FOR PERFECT ATTENDANCE THIS QUARTER! who will be getting married on May 19th. 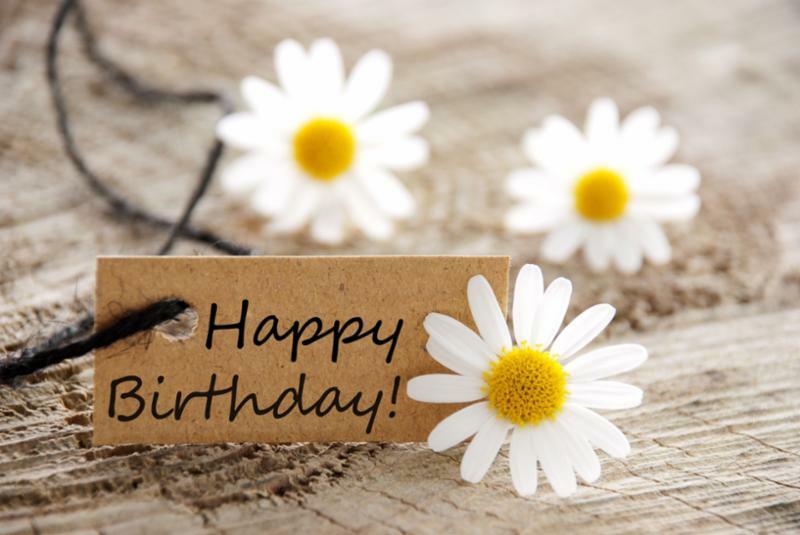 We wish her all the best on her wedding day! There is no smoking near or in front of Center during pick up or drop off. Please refrain from smoking, even while in vehicles. Key fobs are assigned to you personally. Do not share your fob with others. When parking in front of the building, please park to the right (close to the building). The left side allows for traffic to flow. If you park on the left side, it blocks traffic. Please make sure your child has an extra set of clothes, diapers/wipes, formula (if applicable). Special diets need to be discussed with Jasmine. She will work with families to ensure your child is fed according to any allergies or special diet request. Please do not allow your child to bring in outside food or drinks into the Center or leave food/drinks in lockers. Toys often get lost or broken when children bring them from home. Please only send toys with your child on show and tell day. This gives children the chance to show their friends their favorite toy and talk about it. You and your child are important to us! it’s the faces of the children!